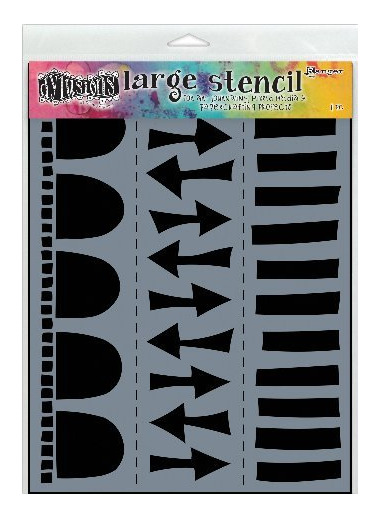 Dyan Reaveley Dylusions Stencils! Ranger has partnered with Crafter's Workshop to bring fine quality stencils to the Dyan Reaveley Dylusions brand. Dyan's unique, eclectic style comes through in the original artistic stencil designs she created. Available in six designs, the stencils are 5 inches x 8 inches. Use with Inks, Markers, Paints, Perfect Pearls and more!